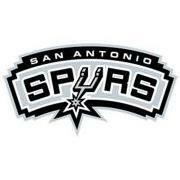 Is Victory and AA Center included in downtown's numbers? It sure sounds like it from that article. Formerly it does not, and the count is only of whats open. The Dallas Comprehensive plan and Urban Land Institute talk about 10,000 residents in the CBD not including Victory. The number of 2,200 residents currently downtown represents CBD only. Last fall at a lecture series (sponsored by City of Dallas) with the planner who helped plan Portland, announced a goal of 10,000 residents for what Dallas should be concentrating on for a critical mass. I don't think the lecturer was Peter Calthorpe, but some connection to him. TThey are hoping to achive this by 2015, if I remember correclty. The media fuzzes things up. But the article is addresses what they are hoping will happen to the West End as an effect of what is being built adjacent to it in Victory. It's going to be really interesting to follow what happens to downtown Dallas during the next couple of years. A lot of things are coming together to invigorate a new and thoroughly urban environment in the North Texas suburban population center. As Houston and Dallas both grow deeper urban roots, I think a lot of the energy spent on the rivalry between the cities will be transfered to exploration. While I think it will be years before either metro has enough "city" to keep the attention of a serious urban dweller, proximity to each other will help satisfy the itch. "..Work is under way on the next tower at Victory, and developers hope to have the residential high-rise ready by the spring of 2007." "Called Cirque, the 28-story tower is being developed by Houston-based Hanover Co. Hanover also built the Ashford apartment tower across the street from the Crescent." "... The building was designed by architects Gromatzky Dupree & Associates...."
"..The building is located just east of American Airlines Center at 2500 N. Houston St."
"...Cirque will have 252 apartments averaging 1,200 square feet. Rents in the building will average about $2,500 a month...."
"..On the seventh floor, the building will have an "aqua lounge," and a fitness center, tennis court and resort-style pool..."
"...There will be 10,000 square feet of retail space on the ground floor." "..Cirque is the fifth residential building under construction at Victory..."
"Condo developers are doing their part to find new uses for vacant office space in downtown Dallas. Now a booming Grapevine mega-church is doing the same. " "Fellowship Church has snapped up a 44,300-square-foot office building on 2.1 acres in the Arts District for its new urban campus. The church paid Levco Enterprises $4.3 million for the property at 2809 Ross Ave., near Boll Street on the eastern edge of downtown Dallas. " "The new satellite location will seat 1,300 and include 20,000 square feet of children's programming space, a bookstore and coffee shop with street access.... "
"With attendance topping 20,000 in Grapevine, the church made a decision last year to expand into other parts of the Metroplex. It opened a 110,000-square-foot campus in Plano in January, as well as a temporary location at North Dallas High School in Uptown. In March, it opened a third satellite at Alliance in Fort Worth...."
"....The nearly $50 million project would increase the 75-year-old facility's capacity to 92,107 seats and call for the construction of new premium seating areas, restrooms, concession stands, a scoreboard and video board and sound system, according to the 34-page proposal document." "..The second phase would be funded through a city bond program and include the creation of new media and VIP facilities. The city would also replace Cotton Bowl's current seats, add new lighting and upgrade utilities. " "An expanded upper deck wrapping around the Cotton Bowl's end zones would constitute the additional seating, the proposal indicates. " "An investor with a redevelopment track record has purchased two downtown Dallas historic buildings. The art deco Tower Petroleum Building and the mid-century modern Corrigan Tower have previously been considered for residential conversion. A partnership headed by Dallas investor Rita Scarfo bought the two buildings, according to Dallas County deed records. .."
"..Downtown real estate brokers say the new owners are studying development plans for the properties." "..Built in 1931, the Tower Petroleum Building has been hailed as an architectural gem because of its stone and terra cotta exterior and stepped-back roofline. The 22-story Elm Street high-rise was designed by noted Dallas architect Mark Lemmon, whose credits include the Highland Park United Methodist Church and Woodrow Wilson High School...."
"..Constructed to house the city's oil and gas firms, the Tower Petroleum Building also was the first home for Dallas' Petroleum Club. During the 1950s, the building was remodeled to include the lobby for the Tower Theater on the ground floor..."
"Adjoining the petroleum building is the 17-story Corrigan Tower on Pacific Avenue. 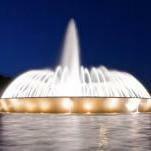 Built in 1951 by Dallas real estate tycoon Leo F. Corrigan, the building originally cost $5 million." "Terms of the transaction were not disclosed. " "Developers have purchased most of a downtown block on Ross Avenue and are studying plans for a high-rise..."
"..."We bought everything on the block but the fire station," United Commercial president David Dunning said Wednesday. "We are going to do mixed-use with high-rise residential."...." Big D is really getting some traction. Tamtagon... Can't remember if I had. I hope this one comes through. It would be great for main street. The developer was quoted something a few weeks past about the project, so I am guessing it is still in the works. Interesting enough, the Iron Cactus went through the same process to reclad its fascade to reproduce the original but obviously at a much smaller scale. It was a very long enduring process to find the orginal architecture plans that showed the detailing, the rock specifications etc. etc. The "Mosaic" groundbreaking was announced in a different thread, but to keep up the consolidation of projects in this thread posting the website to the project. Has some cool pictures of the "before" phase. If you go on the website there is a green banner towards the top. Other then that not too much information. I think I just figured out the problem. The DART trains keep running over the pedestrians. I'm serious. Go to the mosaic link and let the opening sequence run for awhile. After the drunk guy in the VW almost gets clocked by the train, pedestrians start walking around...DART clocks every one of them. ...but probably not a good marketing technique. So how long does it take? i have had it running for 15 minutes and i seem to be in an endless train loop with no pedestrians. Maybe the web designers noticed this too and reworked it. They fixed it. Before, every pedestrian that crossed the track got whacked. Also, the VW that inexplicably sits at the intersection, would take off right in front of the train. It was good stuff, much better than it is now. Sorry to make y'all look at an animated loop for nothing. An urban-style shopping complex is planned as part of Park Lane Place. The development also will have apartments, condominiums, a hotel and office space. Work on North Dallas' next megashopping complex starts this weekend with a bang....On Sunday, demolition crews will blow up a 10-story office tower on the east side of North Central Expressway at NorthPark Boulevard to make way for the new mixed-use development." "Real estate tycoon Donald J. Trump says he's eying land in North Texas for a project called Trump Tower Dallas." "..."We're literally looking at something right now, and if we do it we'll make it very, very successful," Trump told the Dallas Business Journal on Thursday. " "While he declined to provide specifics, the wealthy entrepreneur said he'll visit the tower's proposed site next month when he speaks at the Learning Annex Real Estate Wealth Expo at the Dallas Convention Center...."The speech is giving me the incentive to go out and look at the land," Trump said. "The land that we'll purchase will be terrific, if we decide to do this."..." "Most recently he announced plans for Trump Tower Philadelphia, a 45-story, $190 million luxury condominium project along the Delaware River waterfront. It would be similar to other Trump buildings planned for Las Vegas, Chicago and Tampa, Fla. "
"Experts say Dallas has been a hot market for high-end condos. The most successful such projects have been the W Dallas Victory Hotel and Residences and the Residences at The Ritz-Carlton, said real estate consultant Ted Wilson, a principal at Dallas-based Residential Strategies Inc....That's mainly because both the W and the Ritz have "national and even international brand appeal" and are associated with full-service hotels, Wilson said." "Located smack between the Nasher Sculpture Center and the Morton H. Meyerson Symphony Center, the 20-story Museum Tower has what developers hope is a one-of-a-kind address." "..."We think we have an extraordinary site," said John Sughrue, whose Brook Partners is teaming up with investor Turtle Creek Holdings to build the $100 million tower. "It is in the true heart of the Arts District."..." "Indeed, it would be hard to find a more central location than the block between Pearl and Olive streets. The residential building will overlook the Nasher sculpture garden and tower over the nearby symphony hall and Dallas Museum of Art." DART parking: Can they top it? "Developers are trying to strike a deal with DART to build apartments and retail on parking lots at the Mockingbird rail station........"
".....The mixed-use projects and parking garages would replace more than six acres of surface parking between Mockingbird Lane and Yale Boulevard, just east of North Central Expressway." "While a deal is expected to move forward soon, DART officials aren't talking about their plans. " "......"We have no comment on the DART parking lots at this time," FirstWorthing executive vice president John Allums said Friday. "It is still in DART's court."...." "Usually developers are required to replace all of the parking spaces in a new garage and then sign a long-term lease for the air rights to build over the public parking.....There are 708 parking spaces at the Mockingbird lots. " "DALLAS-A joint venture partnership has mapped out nearly $70 million of hotel development in North Texas to set up the market debut of Starwood Hotels & Resorts Worldwide Inc.'s newest select-service brand. The plan is to close on five tracts in the fall and break ground in the fourth quarter on a pair of aloft-flagged prototypes." The local investment group, Gatebridge Hospitality, is comprised of Gatehouse Capital, Champ Development and Aimbridge Hospitality. To get the brand moving in Texas, the White Plains-based Starwood carved out a protected territory in Dallas/Fort Worth for the development group, with an agreement to replenish the till as sites are built out, veteran hotel developer Joe Champ tells GlobeSt.com. Talks are under way for tracts, ranging from 2.3 to 2.8 acres, in Frisco, Plano, Las Colinas, Downtown Dallas, and the Fort Worth CBD plus its arts district--all highly visible sites near lifestyle centers. "..."We need to get the protected territory working first and then I'll get additional territories working after that," Champ says. The "future itinerary" includes all Texas metros and Oklahoma City. He is planning to simultaneously break ground on two hotels by year's end, but then stagger the starts for the balance of the first wave. The schedule calls for five aloft hotels to be open in 18 months to two years. He says construction financing will be finalized in 60 to 90 days." ".....Champ says the sweet spot to the aloft design is its flexibility for development in suburban or urban markets. His plan is to build the prototype, where possible, but admits that the price of Downtown sites might drive a smaller hotel yet true to the flag...."
"The northwest corner of downtown Dallas looks like a slice of the booming 1980s. At last count, there were almost a half-dozen construction cranes sprouting over the Victory development. Dallas is soooooo Dirty........Of course it is ....theres alot of dirt flying everywhere. "On the northwest corner of downtown, construction cranes jostle for room at the booming Victory complex and along Woodall Rodgers Freeway. But on the opposite side of the central business district, the excitement is about this spring's tomato crop and weekend shopping at the flower sellers'. Dallas' Farmers Market district is a sleepy pocket of downtown that seems remote from the nearby skyscrapers and condo projects. Produce sheds, industrial buildings and vacant lots have dominated this part of Dallas for decades. " "A high-rise condo building will sprout soon at Central Expressway and Canton, near the Farmers Market. Now developers are hoping that the addition of hundreds of residential units will turn the Farmers Market into central Dallas' next hot neighborhood." ".....Along with the recent completion of 284 apartments, two developers are preparing to start work on about 200 townhouses just north of the Farmers Market....At the same time, the city of Dallas is studying plans for a $5 million upgrade of the produce market and other improvements in the district...."
"..."Any residential development will support the Farmers Market."..." "Houston-based PM Realty Group said Thursday that it has formed a partnership with a Chicago investor to develop three residential buildings in a North Dallas project..."
"Work will start this month on the first phase of the 33-acre retail and mixed-use complex. Houston-based PM Realty Group said Thursday that it has formed a partnership with a Chicago investor to develop a three-building residential complex at North Central Expressway and Park Lane. Work will start this month on the first phase: a 20-story tower with 62 residences and a 15-story tower with 218 homes. An adjoining four-story building will have 45 loft apartments. The developers plan to have the first homes ready in summer 2008. The combination of the residential buildings, retail and DART's adjoining light rail station " will make Park Lane one of the most desirable places to live in Dallas," PM Realty president Rick V. Kirk said in a statement...."
Has anyone noticed how many Houston based projects go up in Dallas and Dallas based companies building in Houston? None of us can say that Houston and Dallas aren't very interested financially in each metro area because that simply is not true. Those dollars stay in Texas when this happens which is profiting both Dallas and Houston. Good news! 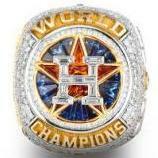 Take that you NY carpetbaggers. Channel 8 news blip about downtown housing. According to this report, there will be 7000 people living downtown by this time next year, double what it currently is. Also in 1999 there were only 200. Currently occupancy is at 95%. This will be a great bench mark for downtown Dallas revival. Here's the link. "Commuters at DART's West End rail station will have a ringside seat for the latest downtown construction project. Irving-based developer JPI Inc. has broken ground on an apartment and retail building on the half-block adjacent to the transit hub. Called West End Station, the five-story building will have 146 apartments and about 12,500 square feet of ground-floor retail. Construction of the building, which takes its design cues from historic warehouses in the area, is scheduled for completion in August 2008. The apartments are expected to rent for about $1.50 per square foot. Corgan Architects designed the building, which also faces Ross Avenue and Lamar Street. West End Station, under construction at Lamar Street and Ross Avenue, will include 146 apartments and ground-floor retail....."
I have to make praise of Dallas. Everytime i drive by 35E, i adore downtown. 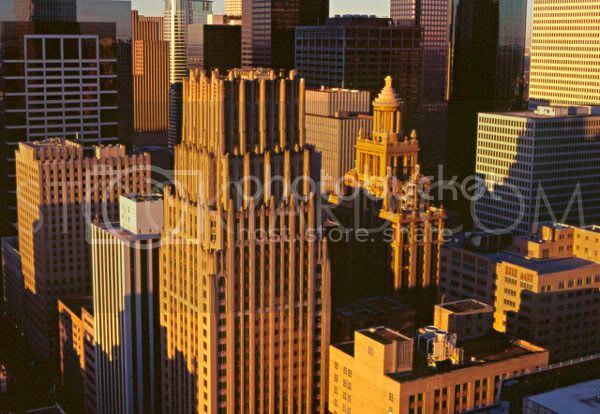 The uptown buildings are also pretty nice but their is alot of art and charisma in their downtoown. 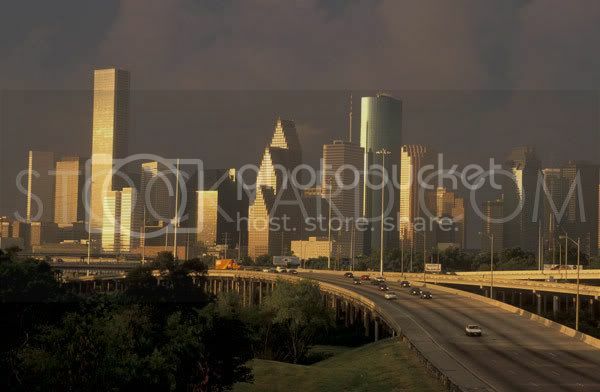 The one thing that seperates downtown Dallas from downtown Houston is that in Houston they look like one giant clump. In Dallas each building stands distinguished. And even though Houston has more buildings than Dallas, Dallas manages to capture my sight more. Its like viewing an art gallery. Houston doesnt do that for me. Here is another opinion. One I have heard repeated many times over the last 20 years or so. The skyscrapers in DT Dallas seem to be disjointed and lack any type of cohesion as they relate to one another. Although there are some very nice skyscrapers in Dallas, they look completely randomly placed. It's as if the various architects and builders did not take the surrounding buildings into account as they were being designed. DT Dallas looks like a hodge podge of giant knick knacks on a shelf, all competing for attention and the result looks a bit junky. Add some blinking lights and neon to the mix and the word tacky comes to mind. By contrast, I've always thought the buildings in DT Houston work together amazingly well. It may be a coincidence, but it is as if the buildings in DT Houston were actually arranged in a way so that they could be viewed as one master planned work of architecture, especially as viewed from the north. It looks like the architechs actually envisioned the entire Houston skyline as they were planning building heights, colors, and style. I expect nothing less than full out war over these comments, but keep in mind its all only opinion. But honestly, I've never heard the skyscrapers in Dallas referred to as 'distinguished' before. I think you mean Atlanta, because all of their skyscrapers line along one street (Peachtree). When I was in Dallas last month, the skyline looked clumped together like Houston's. Uptown had some cranes, though. 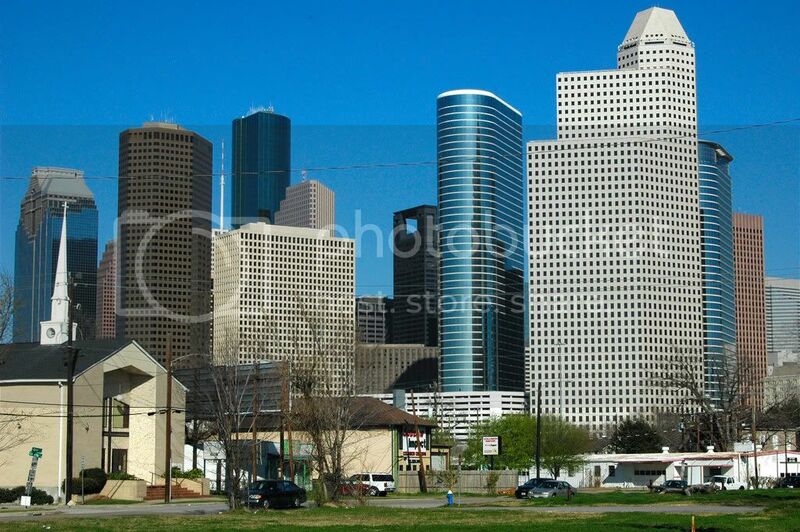 I like the height and density of the Houston skyline, but it does suffer a bit from sameness disease. Houston's skyline is helped, or hurt, by the appearance that it was all built by the same person over a span of a few years. That which is clean and neatly arranged to one is mundane and boring to another. The Dallas skyline is somewhat different - cluttered to some, but interesting to others - in that it lacks Houston's density and bulk, which allows some of the pre-80's towers to show through. Personally, I wouldn't mind seeing Dallas add some bulk and density; a few brash and tacky 2000's monstrosities clashing with the 80's towers would be nice. I like both cities skylines a lot. And, for some reason, I don't feel a real compulsion to compare and contrast them. Houston by day, Dallas by night. Alright, that was so biased one way, I might as well try to bring it back the other way. I think the diversity of Dallas' buildings works amazingly well to give downtown a distinction and character that Houston's completely lacks. There are seven very different towers in DT Dallas (BOA, Renaissance, Fountain Place, Chase, JPMorganChase, Trammel Crow, and Reunion) that really catch the onlookers' attention. I really don't understand why having a variety of architechtural styles would be conceived as a negative thing. I think Dallas gets more bang for its buck in terms of beauty and awe - especially at night - for each of its major towers than a lot of other skylines. The one valid criticism of dt Dallas that I see is that the buildings do seem isolated from one another at ground level as each has way too much surrounding surface parking. 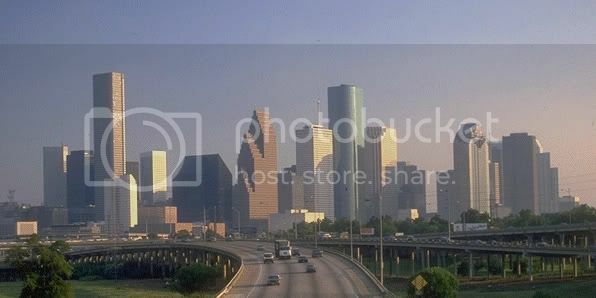 On the other hand, I'm always surprised to see, either in person or in pictures, how underwhelming Houston's skyline is. The one building that I think is truly striking in Houston isn't even in the CBD (Williams Tower). 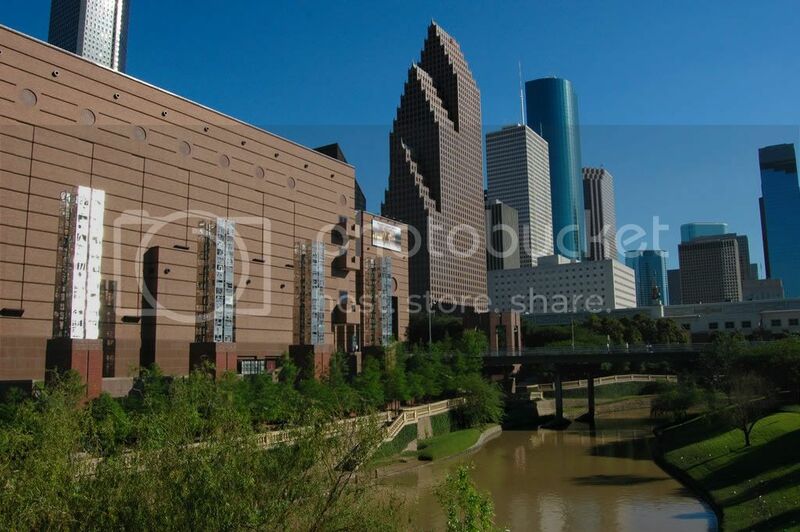 Houston has far more buildings that add to downtown's density but do very little to visually enhance the landscape. Houston's - and Texas' - tallest tower, the JPMorganChase Tower, is flat-out bland and uninspired. It's too bad the developers of Dallas' BOA didn't add another 85 feet or so. Houston does get credit for BOA Center and Heritage Plaza, but they don't do enough to give Houston a stand-out downtown. This is all coming from a Dallasite of course, but I think it's the truth. This is not a "my city is better than your city" post. I don't even live in Houston or Dallas anymore but here is the REAL truth as I see it. The buildings in DT Dallas actually work against each other, like a haphazardly placed still life arrangement. As long as they are viewed individually SOME buildings are very nice. But as a whole, most of the buildings (especially the one's that NDTexan called out by name) compete for attention and the effect is jumbled and cluttered. As viewed as a collection, the eye bounces all over the place, like a poorly thought out page layout composed by a bad graphic designer, there is no focus or any direction. DT Dallas reminds of a person who wears too much jewelry. A strand of pearls might be nice, but if a person is draped in diamond broches, rings on every finger, and a sparkling tiara, all that junk works against each other and ruins the positives that each individual piece might ad. Sure there may be 'more bang for your buck' and variety, but clashing variety is not a good thing, it's as tacky as a collection of white trash Christmas ornaments standing out on a lawn in February. Another analogy might be that DT Dallas is like a group of singers, where everyone is trying to be the lead and no one wants to be the backing vocal. No harmony. Or a living room filled to the brim with trinkets on every available surface. Viewed seperately, there may be aethetic value, but as a whole it's just junk. And its not just about having competing ornaments, it's also about style, placement, proximity, color, and hierarchy, none of which are done with any unity in DT Dallas. I know good aethetics are a personal thing, but the Dallas skyline lacks continuity, and any kind of composition, no matter how coincidental, no matter which angle it is viewed from. For me, DT Dallas has about as much grace and visual interest as graffiti. But hey, some people like graffiti. Just keep it out of my neighborhood please. Fountain Place is a striking building, but it stands against the rest of the skyline like a sore thumb. It is completely removed from the rest of the skyscrapers as far as design style. Even the angles seem out of sync with the other towers with sloped roofs. It seems diametrically opposed, but yes it DOES stand out. The crap on top of the building with the big X's (I don't know what the name of it is anymore) is a complete eyesore, it looks kind of like a power plant or mini refinery 50 stories in the air and it affects everything around it. And I won't even go in to whats wrong with that blinking dandelion tower thing or that scrap heap of glass just below it. The buildings in Dallas stand out alright, but that is not a good thing if they work against everything else that surrounds it. I imagine, if one is used to looking at the jumbled mess of DT Dallas all the time, DT Houston might seem tame by comparison. Just like classical music probably seems boring to people who like Paris Hilton songs or a Cezanne painting to people who like 'artwork' that you can plug in to a wall. I wouldn't call the Dallas skyline bland, it's kind of ugly as a whole, but not bland. And it's definately something that has the artistic merrit of something that has to be plugged in. For me, the buildings in DT Houston have enough height variety, color, sloping rooftops, and textures to be visually interesting, and enough cohesion to make the majority of the buildings work together with some unity. Viewed from the north its as if the best buildings in DT Houston seem posed, facing Buffalo Bayou Park. And before you Dallas guys break out the rope and torches on me, I want to add that it isn't like the Dallas skyline is beyond repair. With a little carefully thought out planning and several billion dollars worth of new skyscrapers, DT Dallas could be very nice one day. But not today, sorry. Not that my opinion matters much, but I agree. I think the diversity of Dallas' buildings works amazingly well to give downtown a distinction and character that Houston's completely lacks. I wonder if the people living in downtown San Antonio - the only authentic downtown residential neighborhood in Texas - think this is funny or pathetic. Eh, probably just another roll of the eyes. San Antonians: "moo, you and your tall buildings..."
Both are sprawly, trafic-filled smog factories with some unfounded compulsion to build up and egos to boot. There. They're even. I hate to say it, but i gotta give the hand to Dallas on this one: both day and night. Dallas's skyline might not be as massive, but the buildings are well-grouped and better organized. Plus Dallas does an awesome job lighting up their towers at night, which gives it more brownie points. They have that one spire building that I wish we had (I wish we had some like Atlanta's in Downtown). Oh the pitiful architecture of Johnson, Pei and there ilk.